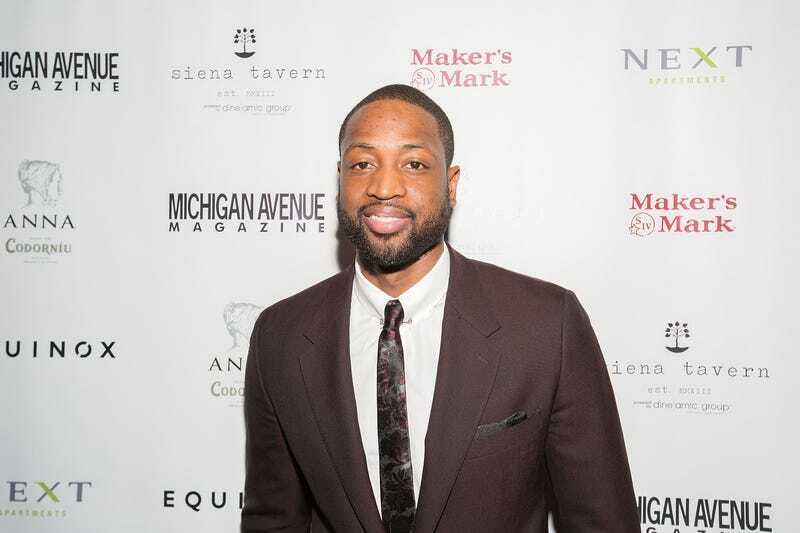 NBA Player Dwyane Wade Celebrates Michigan Avenue Magazine’s Winter Issue With Dwyane Wade at Siena Tavern on December 11, 2016 in Chicago, IL. Dwyane Wade, now a free agent, has been offered a three-year, $25 million contract to play for the Zhejiang Golden Bull, according to ESPN. If he accepts the offer, he’ll be the highest paid player in China, being paid more than Andray Blatche, who plays for Xinjiang in the Chinese Basketball Association. It’ll also be one of the biggest overseas deals in history. The 36-year-old already has 15 seasons under his belt and most of his career consists of playing for the Miami Heat. But the thing is, they can only afford to pay him $5.3 million to return to the team. Money isn’t the key to happiness but you don’t have to be genius to decide between $25 million and $5.3 million, c’mon Dwyane. Wade hasn’t made a decision yet but I’m thinking he’s probably trying to work things out with his fam. His wife Gabrielle Union is an actress and I assume much of her time is spent in California, so what will the pair do? Gabby better go with her man to China. He also has three kids that he can’t just up and leave. That being said, Wade has such a huge fan base and has inspired so many in the United States. A victim of the Parkland shooting, Joaquin Oliver, was buried in his jersey. Hopefully Wade makes a decision sooner than later.